This study aims to investigate communication satisfaction (CS) and work-life balance (WLB) among employees in hotels. Additionally, it aims to identify their impact on employee turnover intention (ETI). Data was derived from 515 employees using a validated questionnaire. A stratified random sampling technique is employed to select the hotels from five regions. Correlation and regression tests are used to test the impact of two independent variables; CS and WLB on one dependent variable; ETI. Results indicated that communication climate, supervisory communication, co-workers communication, organizational integration, personal feedback and media quality are essential dimension of CS that influence significantly and negatively on ETI. The study also found that schedule flexibility, job autonomy and manger's support are essential dimensions of WLB that influence significantly and negatively on ETI. Abdallah, A. B., Anh, P. C., & Matsui, Y. (2016). Investigating the effects of managerial and technological innovations on operational performance and customer satisfaction of manufacturing companies. International Journal of Business Innovation and Research,1(2), 153-183. Adebayo, S. O., & Ogunsina, S. O. (2011). Influence of supervisory behavior and job stress on job satisfaction and turnover intention of police personnel in Ekiti State; Journal of Management and Strategy, 2(3), 14–21. Ahmad, A., & Omar, Z. (2012). Effects of informal work-family support on job performance: mediating roles of work-family conflict and job satisfaction. The Journal of International Management Studies,7(2), 202-206. Al-Tokhais, A. A. (2016). Relationship between communication effectiveness and multicultural employees' job outcomes (Doctorate Dessertation, Kent State University College). Anderson, S., Coffey, B., & Byerly, R. (2002). Formal organizational initiatives and informal workplace practices: links to work–family conflict and job-related outcomes. Journal of Management, 28(6), 787-810. Ariani, D. W. (2015). Relationship with supervisor and co-workers, psychological condition and employee engagement in the workplace. Journal of Business and Management, 4(3), 34-47. Arshad , M. A., Masood, M. T. & Amin, G. (2013). Effects of performance appraisal politics on job satisfaction, turnover intention and loyalty to supervisor: study with reference to the telecom organizations of Pakistan. International Review of Management and Business Research, 2(3), 653-673. Arshad, H., & Puteh, F. (2015). Determinants of turnover intention among employees. Journal of Administrative Science, 12(2), 1-15. Basford, T. E., & Offermann, L. R. (2012). Beyond leadership: the impact of coworker relationships on employee motivation and intent to stay. Journal of Management and Organization, . 18(6), 807-817. Boswell, W., & Olson-Buchanan, J. (2007). The use of communication technologies after hours: The role of work attitudes and work-Life conflict. Journal of Management, 33(4), 592-610. Brewer, C. S., Kovner, C. T., Greene, W., & Cheng, Y. (2009). Predictors of RNs’ intent to work and work decisions 1 year later in a U.S. national sample. International Journal of Nursing Studies, 46(7), 940-956. Brough P., O’Driscoll, M., & Kalliath, T. (2005). The ability of ‘family friendly’ organizational resources to predict work–family conflict and job and family satisfaction. Stress and Health, 21(4), 223–234. Chiang, C. F., Jang, S. C., Canter, D., & Prince, B. (2008). An expectancy model for hotel employee motivation: Examining the moderating role of communication satisfaction. 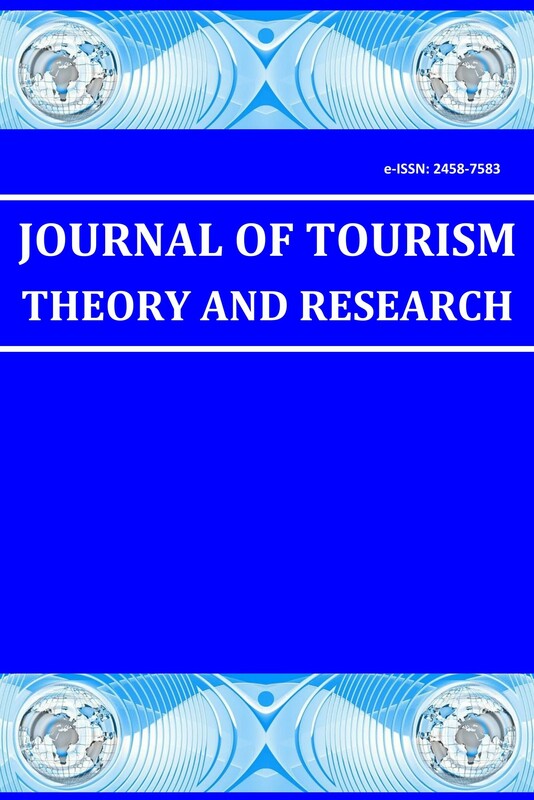 International Journal of Hospitality & Tourism Administration, 9(4), 327-351. Cho, S., Johanson, M. M., & Guchait, P. (2009). Employees intent to leave: A comparison of determinants of intent to leave verses intent to stay. International Journal of Hospitality Management, 28(3), 374-381. Daskin, M., & Tezer, M. (2012). Organizational politics and turnover: An empirical research from hospitality industry. TOURISM, 60, (3), 273–291. Deconinck, J., Johnson, J., Busbin, J., & Lockwood, F. (2008). An examination of the validity of the downs and hazen communication satisfaction questionnaire. Marketing Management Journal, 18,(2), 145–153. Deshwal, P. (2015). Impact of flexible working arrangements in the MNCs of Delhi. International Journal of Applied Research, 1, (13), 810-814. Downs, C. W., & Hazen M. D. (1977). A Factor Analytic Study of Communication Satisfaction, Journal of Business Communication, 14(3),. 63- 73. Dysvik, A., & Kuvaas, B. (2013). Perceived job autonomy and turnover intention – The moderating role of perceived supervisor support. European Journal of Work and Organizational Psychology, 22(5), 563-573. Eisenberger, R., Armeli, S., Rexwinkel, B., Lynch, P. D. & Rhoades, L. (2001). Reciprocation of perceived organizational support. Journal of Applied Psychology, 86(1), 42-51. Fayyazi, M., & Aslani, F. (2015). The impact of work-life balance on employees’ job satisfaction and turnover intention; the moderating role of continuance commitment. International Letters of Social and Humanistic Sciences, 51(5), 33-41. Florea, N. V. (2014). Good Practices of integration for new employees in Roman organizations. Buletin Stiintific, 37(1), 13-23. Gächter, M., Savage, D. A., & Torgler, B. (2013). Retaining the thin blue line: What shapes worker’s intentions not to quit the current work environment. International Journal of Social Economics, 40(5), 479–503. Galletta, M, Portoghese, I., & Battistelli, A. (2011). Intrinsic motivation, job autonomy and turnover intention in the Italian healthcare: The mediating role of affective commitment. Journal of Management Research, 3(2), 1-19. Greenhaus, J. H., Collins, K. M., and Shawc, J. D. (2003). The relation between work–family balance and quality of life. Journal of Vocational Behavior, 63(3), 510–531. Hackman, J. R., & Oldham, G. R. (1976). Motivation through the design of work: Test of a Theory. Organizational Behavior and Human Performance, 1(6), 250-279. Haines, V. Y., Jalette, P., & Larose, K. (2010). The influence of human resource management practices on employee voluntary turnover rates in the Canadian nongovernmental sector. Industrial and Labor Relations Review, 63(2),. 228-246. Hassan, R. (2014). Factors influencing turnover intention among technical employees in information technology organization. .International Journal of Arts and Commerce 3(9), 120-137. Hill, J. E., Grzywacz, J. G., Allen, S., Blanchard, V. L., Matz-Costa, C., Shulkin, S., & Pitt- Catsouphes, M. (2008). Defining and conceptualizing workplace flexibility. Community Work and Family, 11(2), 149–163. Hyland, M. M. (2000). Flexibility in work arrangements: How availability, preferences, and use affect business outcomes. Dissertation Abstracts International, Section A: Humanities and Social Sciences, 60, 3716. Iqbal, A. (2010). Employee turnover: Causes, consequences and retention strategies in the Saudi organizations. The Business Review, Cambridge, 16(2), 275-281. Jais, M., & Mohamad, M. (2013). Perceived Organizational support and its impact to teachers’ commitments: A Malaysian Case Study, 1(12), 1-16. Khawaldeh, K., Muala, A. M., & Ziadat, M. T. (2014). Antecedents and Mediator of turnover Intention amongst employees in private communications sector in Jordan: A Structural Equation Modeling (SEM) Approach. Journal of Management and Sustainability, 4(3), 135-144. Kim, B., Lee, G., & Carlson, K. D. (2010). An examination of the nature of the relationship between Leader-Member-Exchange (LMX) and turnover intent at different organizational levels. International Journal of Hospitality Management, 29(4), 591-597. Koubova, V., & Buchko, A. (2013). Life-work balance. Management Research Review, 36(7), 700-719. Kröll, C., Doebler, P., and Nüesch, S. (2017). Meta-analytic evidence of the effectiveness of stress management at work. European Journal of Work and Organizational Psychology, Vol. 26(5), 677–693. Kumar, R., Ramendran, C., & Yacob, P. (2012). A study on turnover intention in fast food industry: Employees' fit to the organizational culture and the important of their commitment. International Journal of Academic Research in Business and Social Sciences, 2(5), 9-42. Lather, A. S., & Singh, C. G. (2015). A Study of the impact of workplace relationships on turnover intentions. The International Journal of Business & Management, 3(2),. 62-70. Lee, C. (2014). The role of social capital in health communication campaigns: The case of the national youth anti-drug media campaign. Communication Research, 41(2), 208–235. Leitch, S., & Davenport, S. (2011). Corporate identity as an enabler and constraint on the pursuit of corporate objectives. European Journal of Marketing, Vol, (9/10), 1501-1520. Lengel, R. H., & Daft, R. L. (1989). The selection of communication media as an executive skill, Academy of Management Executive, 2, 3, 225-232. Madlock, P. E., & Booth-Butterfield, M. (2012). The influence of relational maintenance strategies among coworkers. International Journal of Business Communication, 49, 1, 21-47. Margrave, A., & Gorden, R. (2001). The Complete Idiot’s Guide to Performance Appraisals. Indianapolis, IN: Alpha Books. Martin, D. C., & Batrol, K. M. (2003). Factors influencing expatriate performance appraisal system success: an organizational perspective. Journal of International Management, 9(2), 115–132. Mcnall, L. A., Masuda, A. D., & Nicklin, J. M. (2010). Flexible work arrangements, job satisfaction, and turnover intentions: the mediating role of work to family enrichment. The journal of psychology, 144(1), 61-81. Meenakshi, S. P., Subrahmanyam C. V., & Ravichandran, K. (2013). The importance of work-life-balance. Journal of Business and Management, 14(3), 31-35. Michaels, C. E., & Spector, P. E. (1982). Causes of employee turnover: A test of the mobley, Griffeth, Hand and Meglino Model. Journal of Applied Psychology, 67(1), 53-59. Mishra, K., Boynton, L., & Mishra, A. (2014). Driving employee engagement: The expanded role of internal communications. Journal of Business Communication, 51 (2), 183-202. Mohamad, S. F. (2008). Effects of communication on turnover intention: A case of hotel employees in Malaysia (Master Dissertation, Iowa State University). Mosley, D. C., Megginson, L. C., & Pietri, p. H. (2001). Supervisory Management: the Art of Empowering and Developing People. U.S.A.: South-Western-Colleges Publishing. Mueller, B. H., & Lee, .J. (2002.) Leader-member exchange and organizational communication satisfaction in multiple contexts. The Journal of Business Communication, 39(2), 220-244. Mustamil, N., Yazdi, A. M., Syeh, S. S., & Ali, M. A. (2014). A dimensional analysis of the relationship between communication satisfaction and turnover intention: The mediating role of organizational commitment. International Journal of Business and Management, 9(9), 75-85. Nivethitha, S., Dyaram, L., & Kamalanabhan, T. J. (2014). Human resource practices and employee turnover intentions in hospitality industry. Global Journal of Management and Business Research, 14(1), 35-41. Nordin, S., Sivapalan, S., Bhattacharyya, E., Hashim, H., Ahmad, W. F., & Abdullah, A. (2014). Organizational communication climate and conflict management: communications management in an oil and gas company. Procedia Social and Behavioral Sciences, 109(8), 1046-1058. Perryer, C., Jordan, C., Firns, I., & Travaglione, A. (2010). Predicting turnover intentions: The interactive effects of organizational commitment and perceived organizational support. Management Research Review, 33(9), 911-923. Priyanka, & Dubey, S. K. (2017). Employees’ turnover intention in indian retail industry an exploratory study. Thematic Article, 16(1), 7-20. Rainayee R. A. (2013). Employee Turnover Intentions : Job stress or perceived alternative external opportunities. International Journal of Information, Business and Management, 5(1), 48–60. Roehling, P. V., Roehling, M. V., & Moen, P. (2001). The relationship between worklife policies and practices and employee loyalty: A life course perspective. Journal of Family and Economic Issues, 22(2), 141-170. Sager, K. L. (2015). Looking down from above: Measuring downward maintenance communication and exploring Theory X/Y assumptions as determinants of its expression. Journal of Work and Organizational Psychology, 31(1), 41-50. Sang, J. (2016). Communication channels as implementation determinants of performance management framework in Kenya. Journal of Education and Practice, 7(17), 28-37. Shagvaliyeva, S., & Yazdanifard, R. (2014). Impact of flexible working hours on work-life balance. American Journal of Industrial and Business Management, 4, 20-23. Smith, S. A., Patmos, A., & Pitts, M. J. (2018). Communication and teleworking: A study of communication channel satisfaction, personality, and job satisfaction for teleworking employees. International Journal of Business Communication, 55(1), 44-68. Suifan, T.S., Abdallah, A. B., & Diab, H. (2016). The influence of work life balance on turnover intention in private hospitals: The mediating role of work life conflict. European Journal of Business and Management,8 (20), 126-139. Takase, M. (2009). A concept analysis of turnover intention: Implications for nursing management. Collegian Journal of the Royal College of Nursing Australia, 17(1), 3-12. Thompson, C. A., & Prottas, D. J. (2005). Relationships among organizational family support, job autonomy, perceived control and employee wellbeing. Journal of Occupational Health Psychology, 11(1), 100-118. Tsai, M. T., Chuang, S. S., & Hsieh, W. P. (2009). An integrated process model of communication satisfaction and organizational outcomes. Social Behavior and Personality, 37(6), 825-834. Wangombe, G. J., Wambui, W. T., & Kamui, W. A. (2014). The perceived supervisor and organizational support on organizational climate. Journal of Humanities and Social Science, 19(3), 53-69. Westlund, S., & Hannon, J. (2008). Retaining talent: assessing job satisfaction facets most significantly related to software developer turnover intentions. Journal of Information Technology Management, 19(4), 1–15.